Adding Marty into your classroom is super easy - just have a look through our lesson plans that will get you up and running in no time! Our resources have been curated with teachers in mind, creating an engaging environment where students can adopt a hands-on approach to learning about important concepts in robotics and programming. Whether you are using Scratch or Python to program your Marty, we are here and ready to help. Our easy to read documentation will help you get to grips with the different things you can code your Marty to do! Scratch is the best place to start if you are new to programming that focuses on blocks of code that you drag, drop and click together to build a program. Python makes for a great first step away from block-based programming into textual programming and is recommended for our more novice programmers. Our Python documentation gives detailed insights into the different functions that can be used to create programs for Marty. 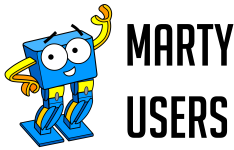 Click on the button below to get an introduction to our Scratch 3.0 Marty the Robot extension and have a browse of our compatible lesson plans. Check out Scratch 3.0 Now! The traditional egg and spoon race but with a twist - prepare and coach your Martys to compete in this race! Go head to head to collect the Easter themed symbols from the gameboard but be careful to avoid the symbols that are not on the challenge card! Put your Marty programming skills to the test in this twist on bingo where students must complete programming challenges to check off symbols from their bingo cards! Having been involved with Marty since the prototype stage I have used the Marty’s with a number of different classes. As a school we were lucky to be able to have a class set of Marty’s so pupils could work in groups of 3-4 to do the programming. Our S2 pupils (12-13 years old) use it as an introduction to programming with Scratch. I found that it gave pupils a good grasp of programming instructions as they could quickly see that an instruction in the program translated into an action from Marty. During the prototype I also used Marty with Python when our S4 pupils (14-15 years old) who had been learning Python, used this to make Marty walk by combining all the instruction needed for the walk command. Pupils in this class commented again on how seeing something physical helped them to test their programs better and it was much more fun! I also use Marty with my S1 programming club where we just have a bit of fun with Scratch and have also used it with our “Bring a parent to school” class which resulted in much laughter as we made Marty dance to Saturday Night Fever! Find out more about how Marty can help improve STEM engagement in your classroom!  If all else fails then get in touch - we are here to help!